Ballantrae or "Kirkubright on Tig" as it was once known is situated some 12 miles to the south of Girvan on the coast road (A77). The harbour was developed further in 1846, at a cost of £6,000, in a basin excavated from the solid rock, to form the present structure which includes a strong pier built on a rocky ledge. The harbour used to be a calling point for the Stranraer/Glasgow steamer service and was once an important fishing village. In the early 1990s the harbour was gifted to the Community by Mr Robert Dalrymple and soon after work began to repair and restore the harbour. Grants were obtained and the metal banding and ladders were replaced. 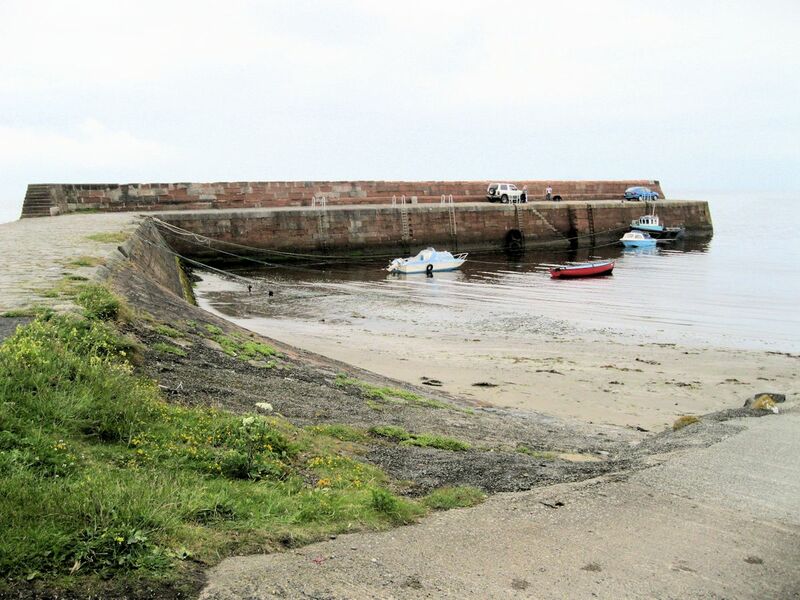 Further work was done to improve and construct a slipway, allowing easy access to the harbour basin. In 2006 armour stone protection was placed at the back of the harbour wall to further protect and dissipate the force of the heavy seas during winter gales. Ballantrae had a well-developed fishing community in the past with fishermen and their families at one time occupying all the cottages along the foreshore. As with most of these small fishing towns and villages there is no commercial fishing now based here, and all sailing is limited to leisure sailing. Ballantrae is a port of registry and all vessels registered here bear the prefix BA to their number.